Based upon average ratings from individual forex traders collected world wide from numerous websites throughout the Internet we have a collection of top 100 online brokerages, that includes	Realtime, InstaForex, Saxologo, BulBrokers, Alpari, ATCBrokers, MWMarkets, Mayzus, Xtrade, HYMarkets, Fxclub, ForexMart,	and more. The Loto operator in Singapore, held Loto draw 3428 on Monday, 3rd December 2018 in Singapore. The Loto draw was transmitted live on TV under the supervision of a government representative. Singaporen Loto Draw Number 3428, was held on 2018-12-03, with following Loto results:	05,06,07,,,, with Complimetary ball number: 23. Each Winners' Lotto Result Prize: $. Each Winners' Prize: $114,256 $. Each Winners' Lotto Result Prize: $1,416 $. Each Winners' Lotto Result Prize: $273 $. - Next Loto Singaporen Draw jackpot is around , and will be help on 2018-12-06 13:30:00. 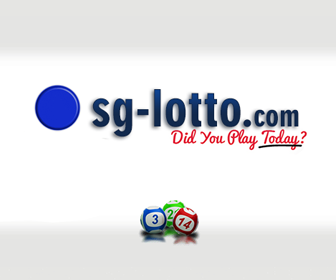 - Loto Singaporen draws number: 05,06,07,29,37,38, with Complimetary ball number: 23. - next Loto Singaporen draw will be help on Thursday, 6th December 2018 at 19:30 Beirut Local time. "DO CHECK YOUR RESULTS FROM ANY AUTHORIZED LOTTO DEALER NEAR YOU 01:18:21pm"02:55:45pm"04:29:26pm"